A review of Sun Health Insurance Company reveals Sun Life Financial. Sun Life is a large financial services company that offers insurance and other financial services to 22 countries and 20 million clients around the world. Enter your zip code to find a health insurance quote for your region today. Sun Life has a wealth of employees, experience and investment capital to meet the insurance and financial planning of any individual, family or business anywhere in the world. The company was started in 1865 by Matthew Hamilton Gault in Montreal, Canada. It expanded globally for the next thirty years, establishing a foothold in the US in the 1890s. It is now ranked the third-largest insurance company in Canada and the fifth largest in North America, according to Bloomberg, a global business news and information site. Current headquarters in Toronto offer insurance to a global market, servicing the US, the United Kingdom and parts of Asia, as well as Canada. Through subsidiaries and direct agents, Sun Life offers insurance and financial management services to individuals, families, and businesses. For individuals, a full range of life insurance options, long-term care packages, and annuities and other investments for retirement are available. For businesses, they offer employee benefits, dental and group life and disability insurance. There plans are customizable to each unique businesses’ needs. Subsidiaries of Sun Life, such as Sun Life Assurance Company of Canada (US), all have high credit rankings as awarded by A.M. Best, a federally recognized insurance rating agency. Best’s ratings of Superior in 2010 show that Sun Life and its subsidiaries are on a firm financial standing; the companies will be able to continue to operate and provide insurance benefits financially. Standard and Poor’s also gave high ranks to Sun Life and its company holdings. Standard and Poor’s, a business assessment agency designated by the U.S. Securities and Exchange Commission, gave Sun Life A-level ratings in 2009 and 2010. 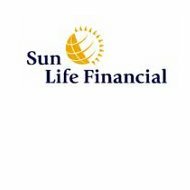 An April 2011 update classified the company’s outlook as stable, showing that Sun Life has the fiscal ability to continue to meet financial obligations in a financially unpredictable world. Moody’s, yet another respected credit-ranking agency, awarded an Excellent rating to Sun Life and its subsidiaries in 2009 and 2010. As a large firm, Sun Life has the assets to compete in any market. Traded on all major stock exchanges, the company reported total combined assets of over four billion dollars in 2009. Almost 50% of revenue contributions are from the United States; Canada also contributes almost 50% of all revenue. The company strives for continued financial surety by safeguarding assets, judicious investments and a continued monitoring of risk management. In 2009, over 50% of Sun Life’s invested assets were in bonds; 96% of them were from investment-grade rated holdings. Education is another area where Sun Life focuses its corporate giving. The company funds the Sun Life Rising Stars Awards, a fund for scholarships for at-risk youth who overcome life and circumstantial obstacles to completing high school. The fund also assists the nonprofit educational organizations who help such students succeed. Since 2010, the company has pledged a million dollars to the scholarships and nonprofit agencies. Sun Life also has very charitable employees, and the company matches employee giving. In 2010, Sun Life matched the $100,000 dollars donated by its employees. Always on the lookout for passionate, goal-focused leaders in the finance and insurance fields, Sun Life is open to professional partners to sell annuities, life insurance and employee benefits. Those looking to partner with Sun Life can call the sales desk at 866-637-5348. Further information requirements are available on the company’s website. Corporate Knights, a “clean capitalism” watchdog magazine rated Sun Life as one of 100 most globally sustainable companies; a career at Sun Life is one way to ensure you and your family’s financial future. Each division has distinct addresses, phone numbers, and email addresses that can be accessed from Sun Life’s website. Enter your zip code to get the best health insurance quotes today.